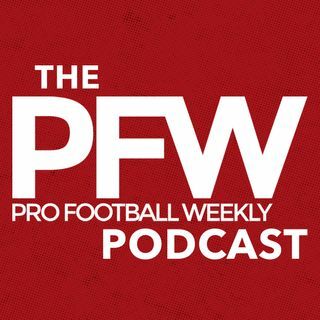 On the new PFW Podcast, Greg Gabriel and Arthur Arkush recap the riveting game in Oakland on 'Thursday Night Football' and look at some of the weekend's best matchups — Atlanta vs. New England in a Super Bowl rematch, Washington visiting Philly in a divisional showdown and New Orleans heading to Lambeau to meet the Brett Hundley-led Packers. The guys talk young QB play in the NFL (and college, where Sam Darnold may stay at USC); the Eagles' nasty 'D' and Jim ... See More Schwartz's effect; Hundley perhaps poised to keep the Packers ship afloat and tons more. Please note, we had some sound issues with week…we apologize about the technical difficulties and we hope you still enjoy the show!